My farmer friend Patti Popp of Sport Hill Farm started a Facebook group with a challenge: Eat at least one locally sourced meal a week from June 1st through Dec. 30th. I love seeing what everyone is making each week and as time progresses I think there will be a lot of recipe inspiration. This dinner is our re-creation of the simple style of tacos at our favorite Mexican restaurant. 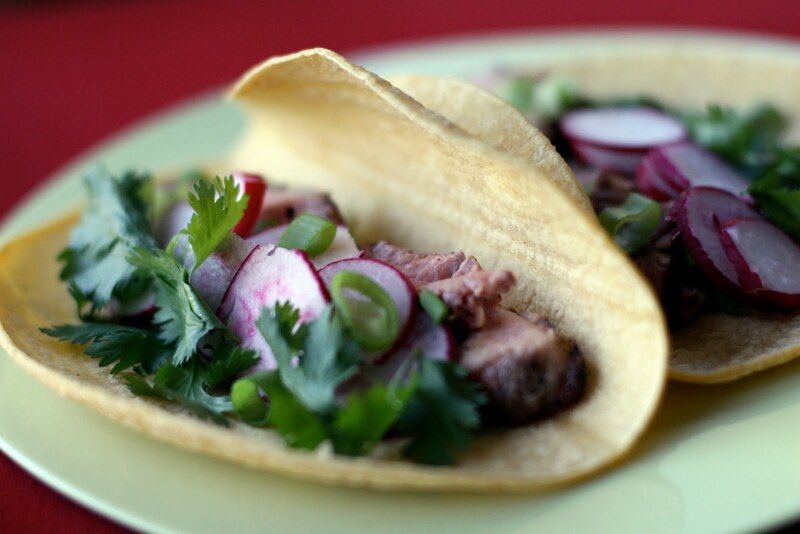 We grilled two pork chops, cut the meat off the bone and put it into corn tortillas topped with fresh sliced radishes, cilantro and scallions. To top them off we just added a touch of hot sauce. That's all there is to it. These tacos are clean and fresh. During the week we keep breakfast pretty basic, but on Saturday mornings we do it up. It's a nice way to welcome the weekend. This breakfast was easy to do, but I think it looks fancy enough for company. 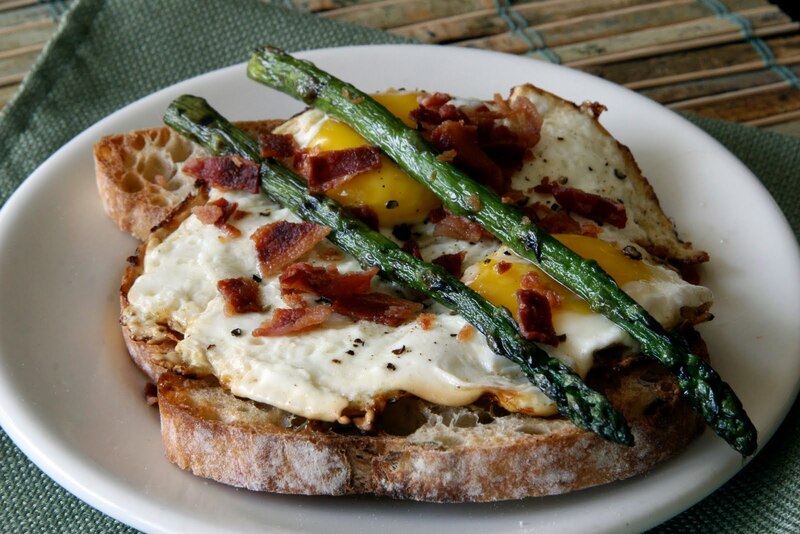 For each serving, we fried two eggs and placed them over a couple slices of toasted olive pepper bread. On top we placed two grilled spears of asparagus (leftover from the night before) and sprinkled on a little crumbled bacon. I'm lovin' it (TM?). Breakfast looks fabulous!